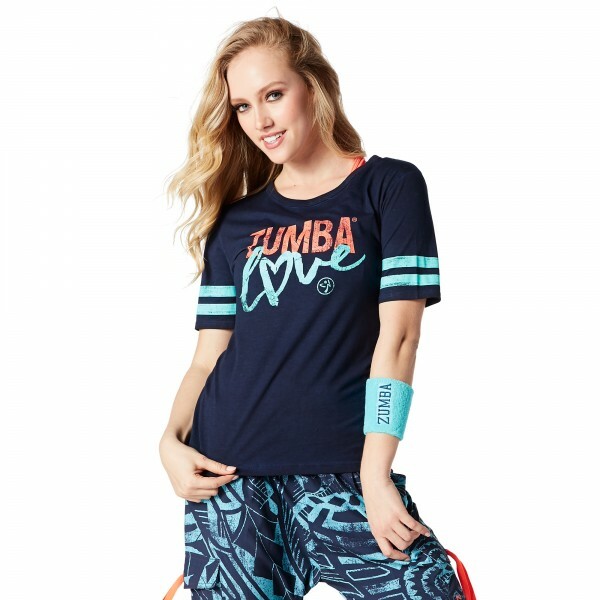 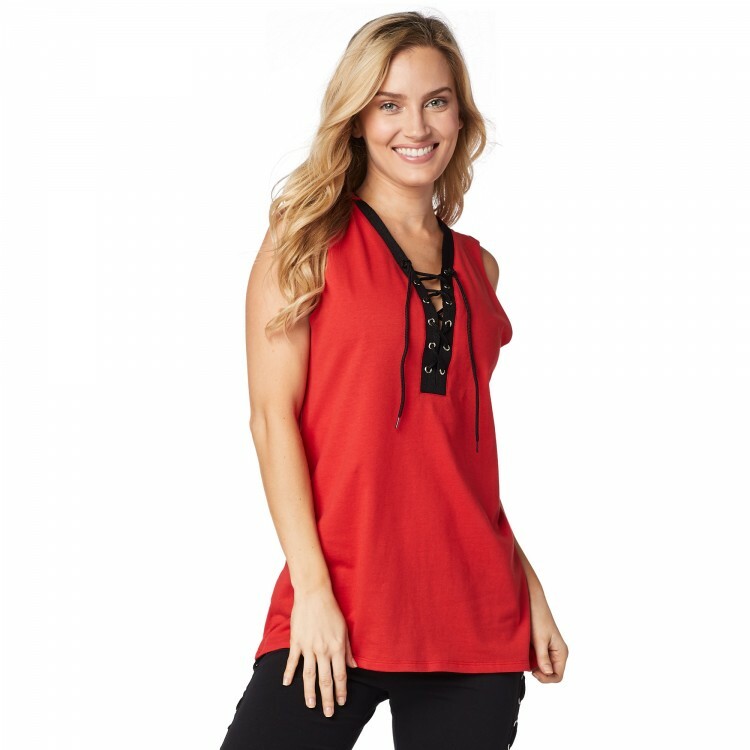 Go bold or go home in the Rocking Zumba Life Button Up! 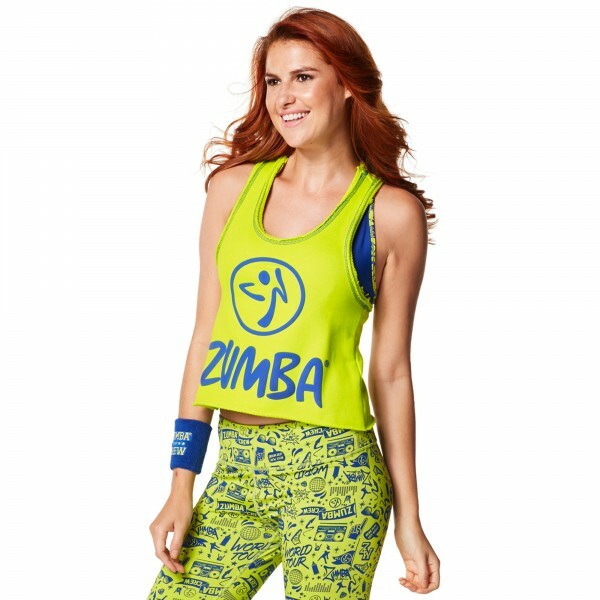 With a prominent foil print on the front and acid wash feel, this item is great for layering over a bra or wearing solo. 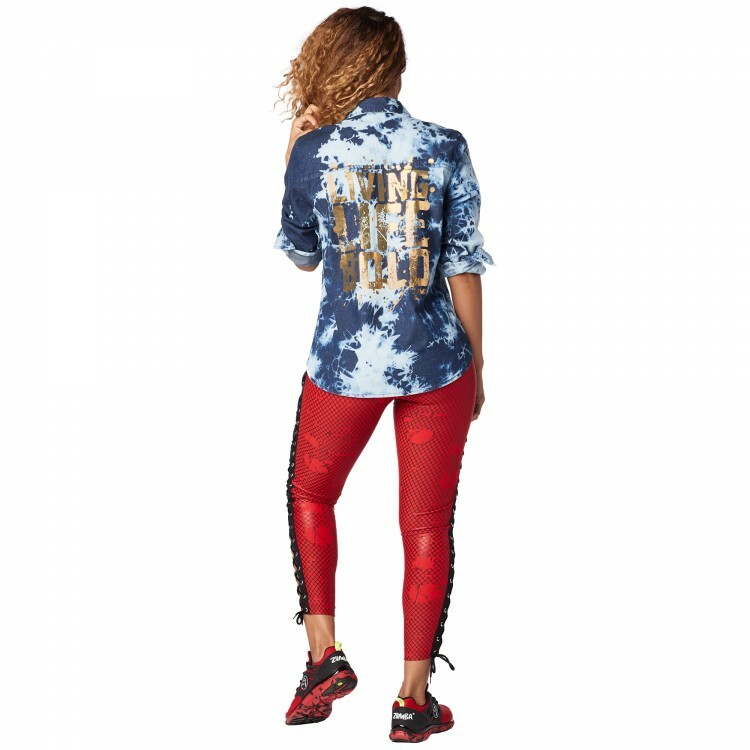 Back View Says "LIVING LIFE BOLD"